On March 2nd, 2017, German Chancellor Angela Merkel, Egyptian President Abdel Fattah El-Sisi, Siemens CEO Joe Kaeser and further high-ranking representatives witnessed the symbolic inauguration of the first phase of Siemens' megaproject in Egypt. The event marked an important milestone towards the completion of the project. In collaboration with the Egyptian Ministry of Electricity and Renewable Energy, Siemens and its consortium partners, Orascom Construction and Elsewedy Electric, announced on July 24, 2018 the completion of the Egypt Megaproject in record time. 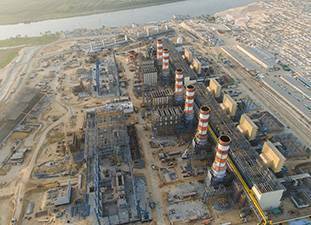 The parties celebrated the combined cycle commissioning and the start of operations at the Beni Suef, Burullus and New Capital power plants. 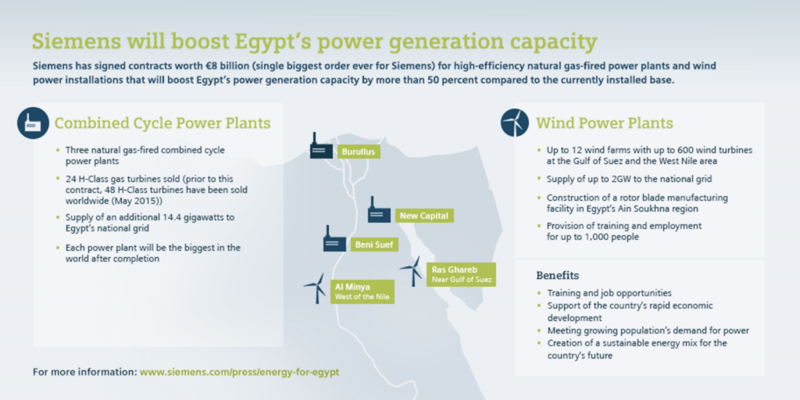 The stations will add a total of 14.4 gigawatts (GW) of power generation capacity to Egypt's national grid, enough power to supply up to 40 million people with reliable electricity. 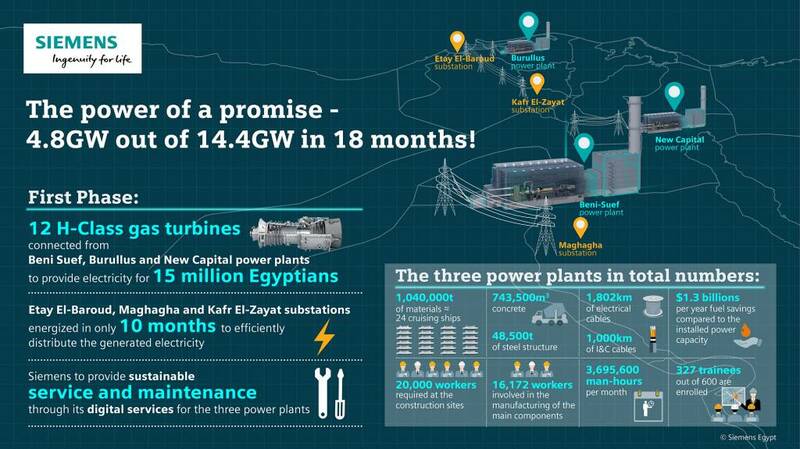 With this milestone, Egypt and Siemens have set a new world record for execution of modern, fast-track power projects, delivering 14.4 GW of power in only 27.5 months. A single combined cycle power plant block with a capacity of 1,200 megawatts typically takes approximately 30 months for construction. For the Egypt Megaproject Siemens in parallel built twelve of these blocks in record time and connected them to the grid. Following the delivery of several Siemens SGT5-8000H gas turbines, the first steam turbine for the Egypt Megaproject began its journey in December 2016 from the Siemens factory in Muelheim to the power plant Beni Suef in Egypt. The main components of the 670-ton cargo were lifted with a heavy-duty crane from the production hall onto a transport vessel standing by at the plant's inland harbor facilities. The vessel transported the SST-5000 steam turbine from Muelheim to the deep-water port of Antwerp where it was loaded onto a heavy cargo ship and transported to Egypt. After the steam turbines installation, the waste heat from the gas turbines will be used to produce steam that will then drive the steam turbine, thus increasing the overall power output and efficiency of the power plant. In total, Siemens will deliver twelve SST-5000 steam turbines for the Egyptian power plants Beni Suef, Burullus and New Capital. All of these steam turbines will be manufactured at the Siemens factory in Muelheim. 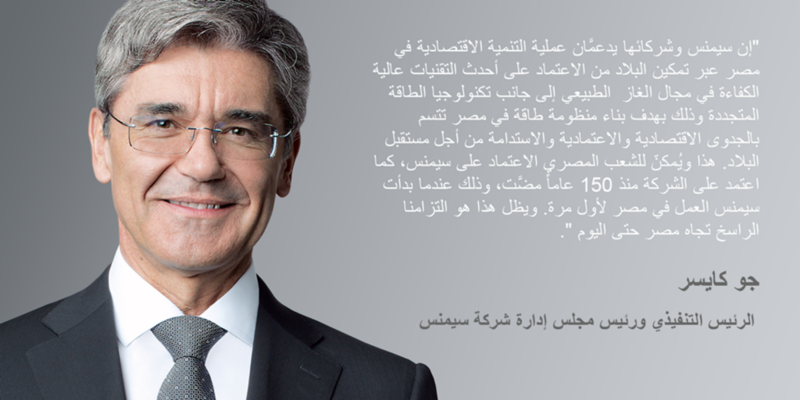 CEO Joe Kaeser has just visited Egypt, where he met with President Abdel Fattah El-Sisi. In this interview, he speaks about the status of the major power plant projects, which are scheduled to begin delivering electricity in 2017, and explains how Siemens plans to help the country avoid energy shortages in the meantime. To drive employment opportunities for Egyptian youth and increase workforce localization in line with Egypt Vision 2030, Germany's Federal Ministry for Economic Cooperation and Development (BMZ) and Siemens have signed a strategic alliance agreement to support occupational training in Egypt, with total investment of more than 22 million euro. German Chancellor Angela Merkel and Egyptian President Abdel Fattah El-Sisi symbolically inaugurated the first phase of Siemens' megaproject in Egypt today. The event marks an important milestone towards the completion of the project, which will boost the country's power generation capacity by 45 percent when finished. 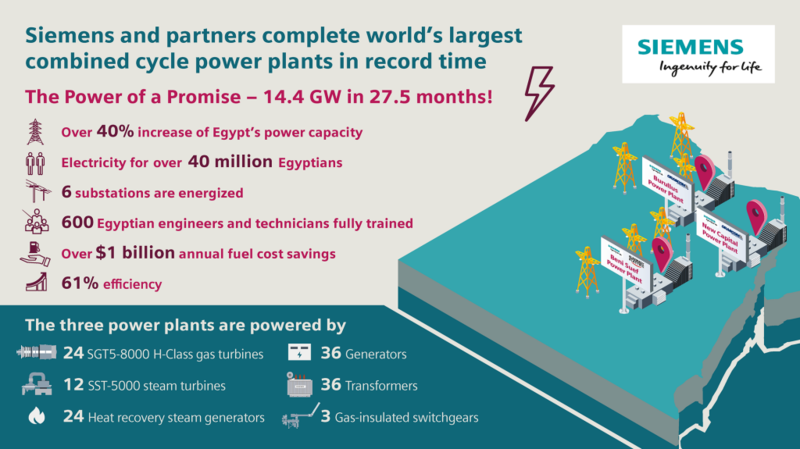 Together with its local partners, Orascom Construction and Elsewedy Electric, Siemens broke all records in modern power plant construction by connecting 4.8 gigawatts (GW) of new capacity to the grid in only 18 months after the signing of the contract for the company's biggest single order ever. 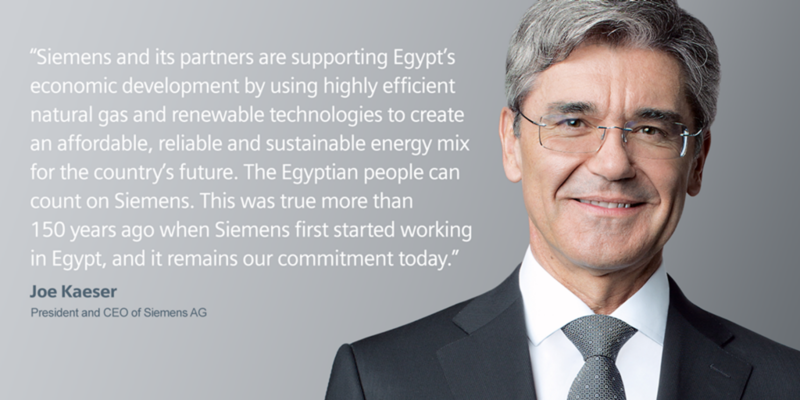 In June 2015, Siemens was awarded its single biggest order ever for the expansion of the Egyptian power supply. Now, only 18 months after the signing of the contract, Siemens has set a new worldwide benchmark for the execution of fast-track power projects. 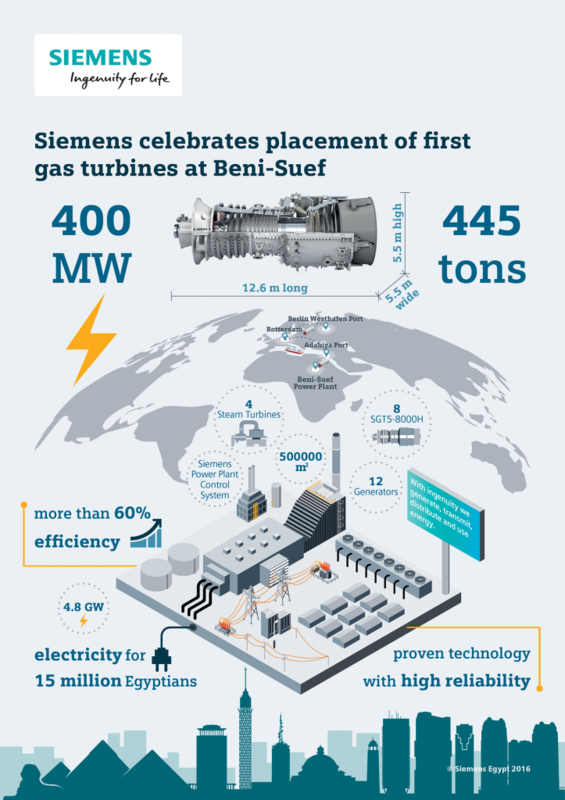 Siemens has successfully energized the first two substations that will transmit electricity generated by the new power plants in Beni Suef and Burullus to Egypt's power grid. 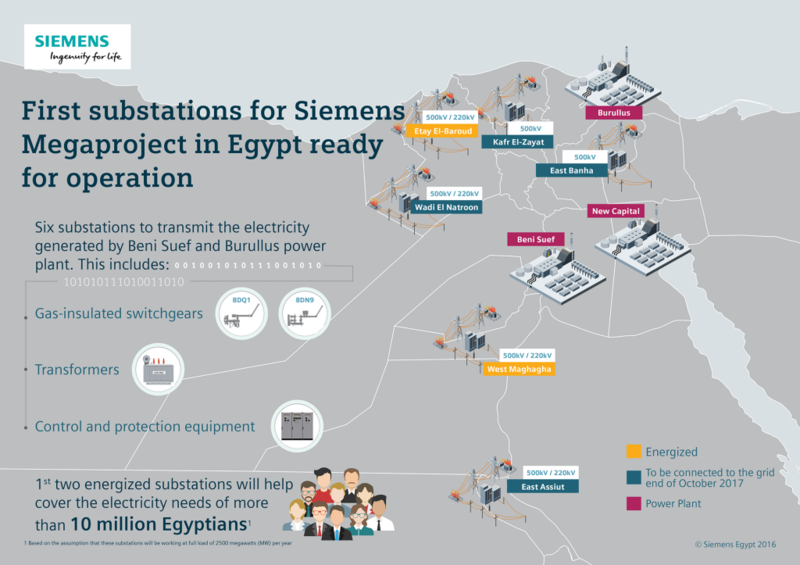 When finished, the plants which Siemens is building alongside with its partners will feature a total of six 500/220 kV (kilovolt) substations and will enable a reliable and resilient energy delivery for the people of Egypt. Infographic: The power of a promise - 4.8GW out of 14.4GW in 18 months!